At T&K.A, we take quality assurance extremely seriously. Permanent tests and procedural instructions at individual production stations constantly guarantee the quality that our customers require. Dispatched and delivered goods are key points in quality assurance and are again strictly monitored here. Our qualified staff are always alert through work instructions and inspection reports that must be completed. As a promoter and member of the Fachverband/Gütegemeinschaft Metallzauntechnik e.V. 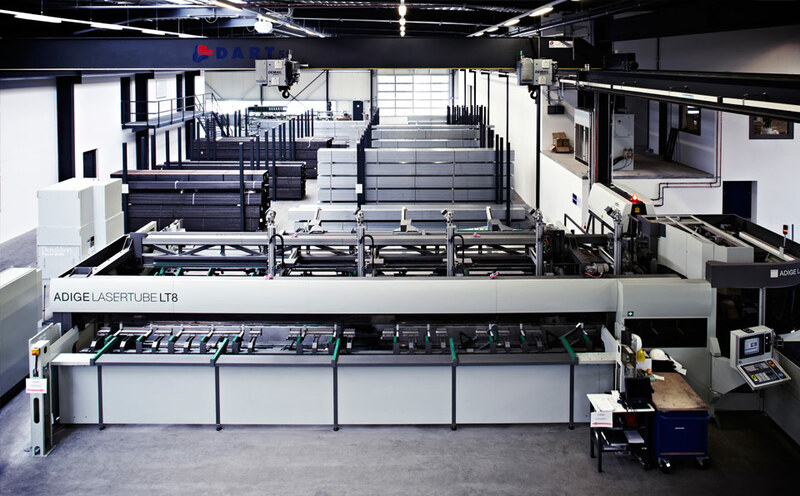 [the German body which supervises quality and engineering standards in the metal fencing sector] we also check our products for quality and durability. Corrosion protection: Hot dipped galvanizing according to DIN EN ISO 1461, Sendzimir galvanizing according to DIN EN ISO 10244-2 and powder coating according to the RAL color chart, based on DIN 55633. All goods declared by us as hot dipped galvanized are hot dipped galvanized according to DIN EN ISO 1461. This procedure protects all metal components against corrosion. The formation of white rust cannot basically be prevented. It is a powdery, water-soluble product of zinc corrosion formed from zinc hydroxide and zinc oxide. This is not a quality defect and with the formation of the zinc patina layer, this occurrence disappears completely. Minor surface irregularities and zinc discharge points are production-determined features and are evidence of hot dipped galvanizing (source: Zinkberatung e.V., [the German zinc consultative body] Düsseldorf). All post profiles and foundation dimensions T&K.A. recommends comply with general structural requirements. They are not a substitute for the site-specific structural analysis as specified by construction supervision. This is to be provided by the customer. 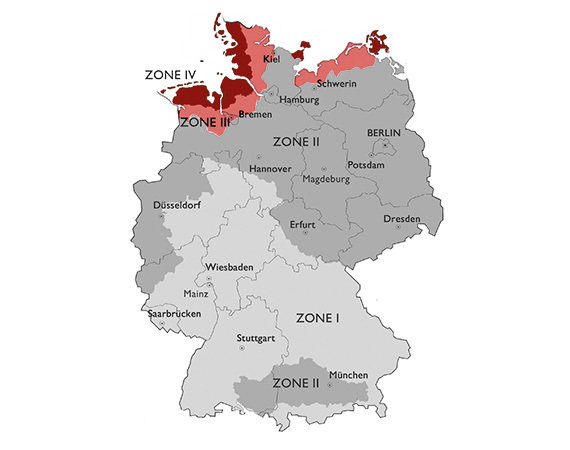 Note on structural stability: According to DIN 1055-4:2005-3, Germany is divided into 4 wind zones. Therefore, if a given structural performance is necessary, this is to be produced related to this object. Ground conditions and wind loadings are important factors, which must be observed for the structural geometry, and can be determined only directly on site. Standard structural design patterns under building regulations are therefore not applicable. Special designs, other RAL colours and dimensions on request. We reserve the right to make technical changes without notice. Our modern tube laser system means that we can offer you special solutions "outside the box". Please talk to us!